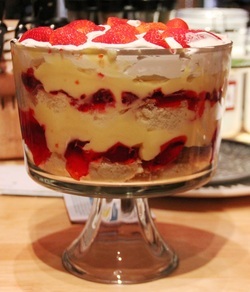 Scrumptious TRIFLE CAKE PUDDING !!! Prepared it for a party....super yummy & enjoyed by all!!! 2. 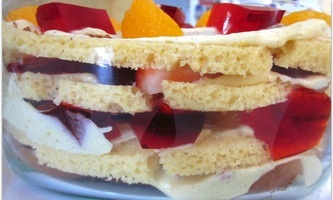 Use the fruit juice left from can to sprinkle on the layer of cake which is spread at the bottom of the dish. It makes it moist & tasty. 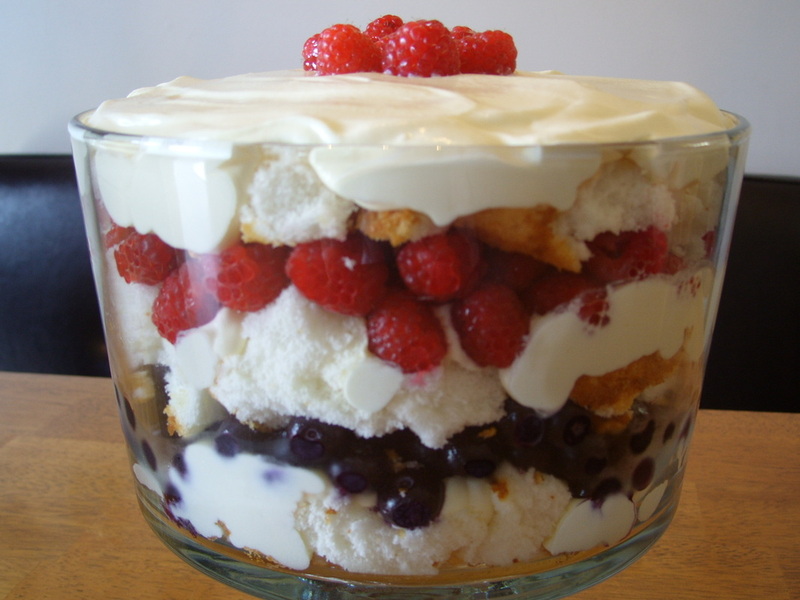 There can be a variety of Trifle cake puddings as shown below. 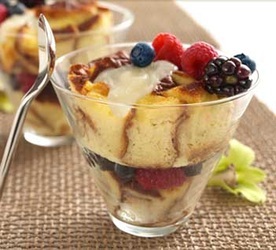 They can be chocolate or vanilla flavor with fruits of your choice, with or without jelly, and topped with whipped cream, with crushed nuts/fruits or wafers on top for great look and taste. 1. Cut slices of Pound cake (chocolate or vanilla) & spread evenly at the base of a baking dish. Poke holes with fork in the cake. 2. 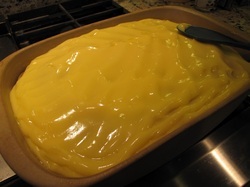 Prepare vanilla or chocolate pudding from Instant pudding mixes (5 oz pkt) and spread over the cake layer. NOTE: If adding jelly, pour jelly first & let it set before adding pudding & setting it. 4. 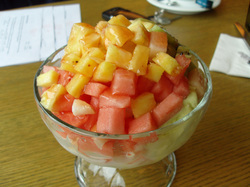 Take fruit cocktail can or fresh fruits (drain juice from can) in a bowl & mix in it a cup of whipped cream (ready made 16oz tub). Spread the mixture over the pudding. Set in fridge for 2-3 hrs. TIPS: 1. 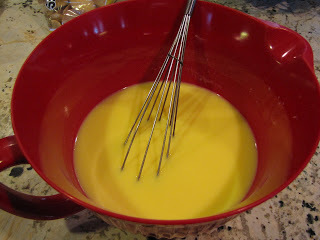 Sprinkle crushed vanilla wafers on top for great crusty look (take wafers in zip lock & crush with the rolling pin). 2. 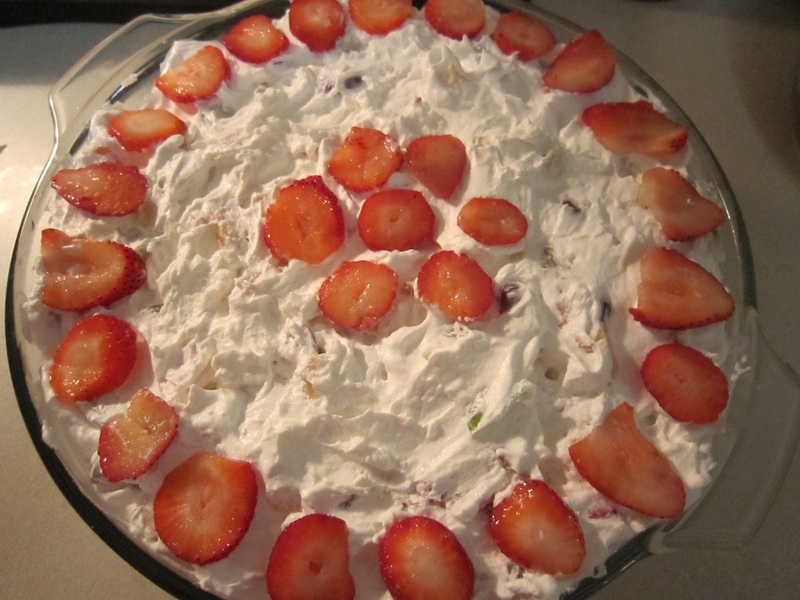 Instead of wafers, just decorate with chocolate or strawberry syrup. Create some design for "wow" effect. Place a cherry on top of each serving. WOW!! 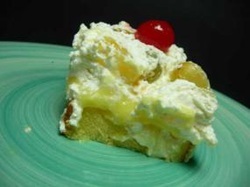 Your Trifle cake vanilla Pudding is READY TO EAT!!! If you have any tips about this dish, please write in the comments at the end of this post & I shall share it will everybody.